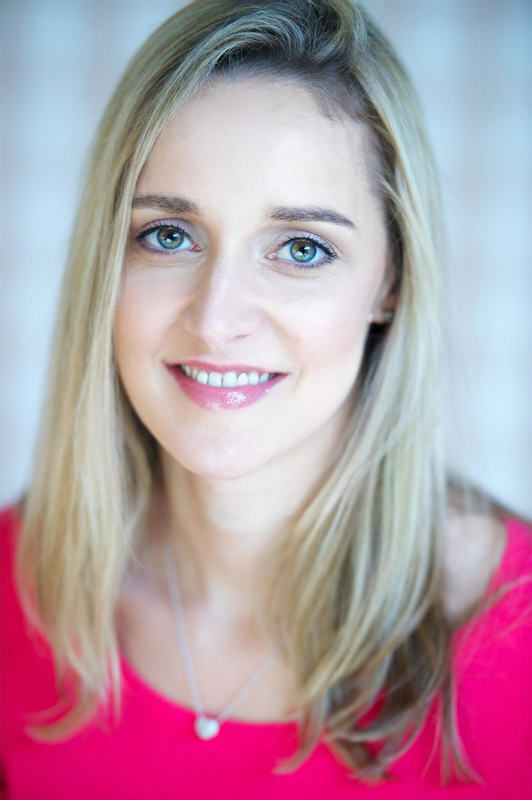 Award-winning internal comms expert Saskia Jones reveals 5 strategies for senior leaders to become more visible within their organisation – and what internal comms professionals can do to help. Gone are the days when senior leaders could bunker down in the safety and comfort of their offices, only reserving an open-door policy for their leadership team. Building trust is the number-one priority for CEOs, as shown by the latest Edelman Trust Barometer. The most powerful way to do this with employees is to be visible, approachable and authentic. But how do you make this happen in a company with thousands of employees, spread across different offices and locations? On social media. In the canteen. On the phone. In the lobby. Senior leaders can’t talk to everyone, but by talking to individuals, often, they’ll make people feel valued. Think ordinary person-to- person conversation rather than mass-market approach. 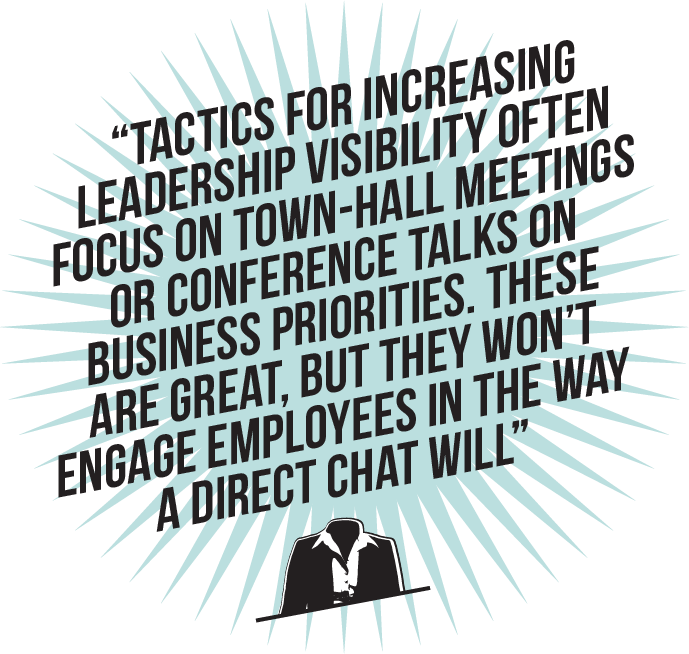 Tactics for increasing leadership visibility often focus on collective techniques like town-hall meetings or talks on business priorities. These are great to have in the mix. But they won’t engage employees in the way a direct chat will. Make it personal, and you’ll make it powerful. Even better, it’ll foster informal, interactive communication as a cultural norm for other leaders to follow across the organisation. Ask your senior leaders to surprise a colleague with a personal call, card or email. An easy way to do this is to appreciate and congratulate good work. Even better, ask them to make a visit, particularly to offices or stores which do not have regular contact. It’s an opportunity for your CEO to learn about employees’ daily experiences serving customers, delivering projects or developing products. Keep it casual. Often, these impromptu visits will be shared by employees on social media, and talked about internally for months. Encourage the CEO to reference what they’ve learned from employee chats in their next blog, leadership talk or podcast. Make people feel special. Employees will be blown away by little actions that demonstrate respect and support. Physical presence of leaders with employees isn’t always possible. But emotional presence is. You can still light someone up, making them feel inspired, supported and listened to, through a virtual connection. Smart senior leaders focus on casual conversations, not corporate speak. They make efforts to engage with their people on enterprise social networks (ESNs) like Yammer or Workplace by Facebook. This transcends the barriers that exist across time zones, functions and locations. 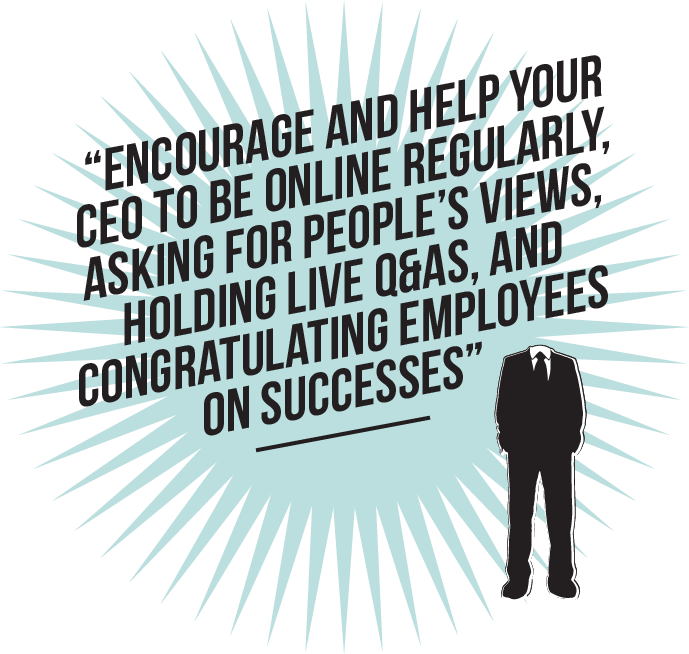 Encourage and help your CEO to be online regularly, asking for people’s views, holding live Q&As, and congratulating employees on successes. One of the most powerful ways to be visible is to say nothing at all. 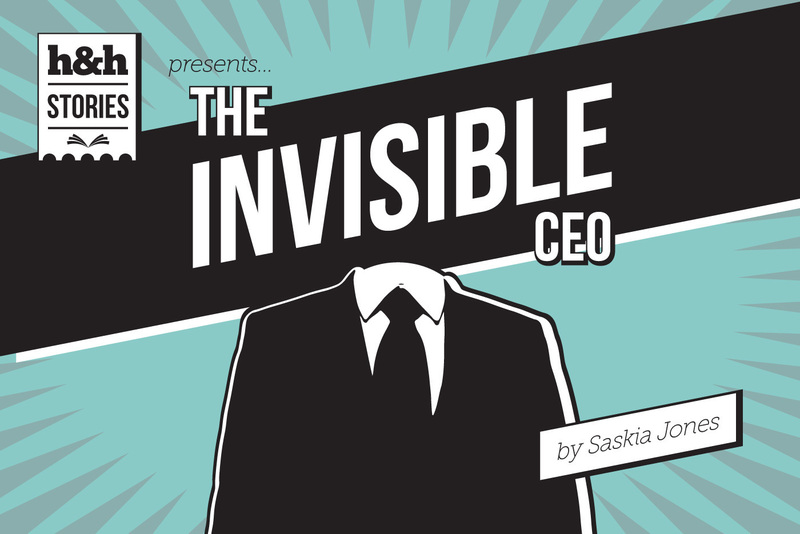 Your CEO should make time to listen to employees’ concerns, passions and ideas. Not only will it enhance engagement, it’ll enhance their knowledge of how the business can improve. Formal ways to do this include through ‘listening sessions’ where employees are invited to a chat with the CEO to share pressing issues, ‘CEO lunches’ or something novel like a ‘Fishbowl’ meeting – a group conversation where the senior leader can sit in and listen. Make these listening sessions themed, based on a strategic priority. You want them to be open, but not aimless. This allows them to deliver real business value and stops them appearing tokenistic. Make it as easy as possible for your CEO to respond, for instance by giving them themes of feedback and highlighting areas to act on. Most important is that listening becomes a way of communicating – not just a one-off organised activity. To heighten visibility, senior leaders should speak in an unscripted context – no polished, perfect lines. 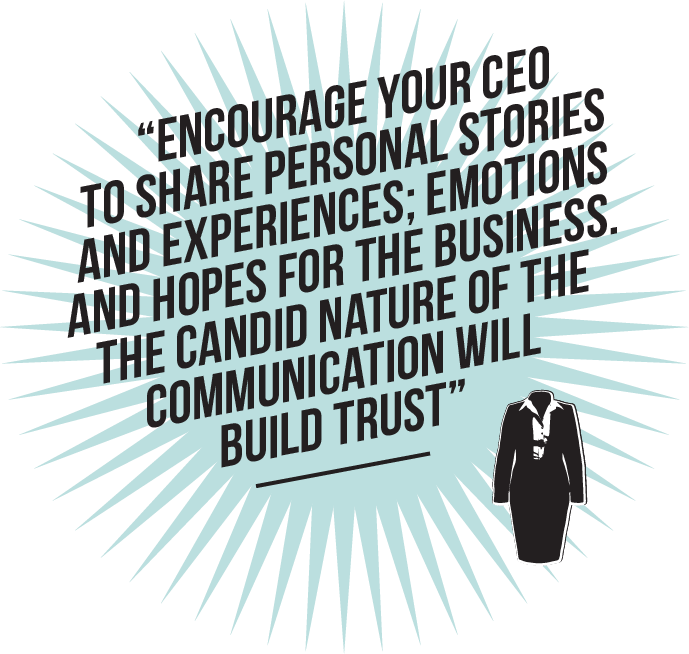 Encourage them to share personal stories and experiences; emotions and hopes for the business. This could be a regular leadership blog on your ESN, a video blog or a podcast. Whatever form it takes, and whatever the forum, allow for comments and feedback. The immediacy and candid nature of the communication will build trust. Forget boundaries. Forget scripts. Forget collective communications. Just for a moment. Think informal connections. Think about the power of the unexpected. Think about staying quiet and amplifying employee voices. That’s how you can really drive engagement and success. Come say hi and connect with me on Twitter and LinkedIn! Being visible is only part of the puzzle. 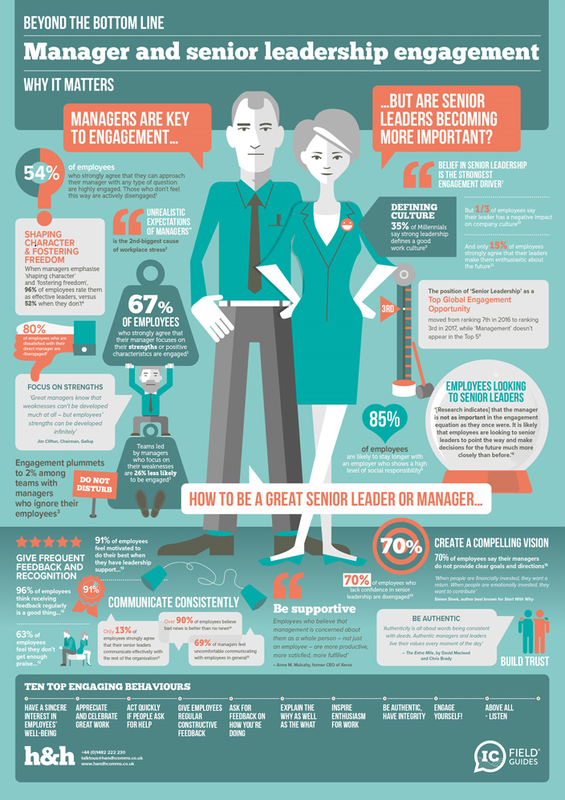 Download our Manager & Senior Leadership Engagement IC Field Guide for all the latest, must-know facts, stats and figures on all the ways senior leaders can really engage their employees, beyond getting out and about.